My practice falls into two distinct areas. As a textile artist, I have taught City & Guild in Embroidery, Machine Embroidery, Felt and Bead Needleweaving since 2003 nationally and internationally. Last year completing a 5 week tour of New Zealand for the National Association of Embroiderer's Guilds. I also work on community projects and commissions all of which can be seen at www.pocketmouse.co.uk. My aim when teaching is to share, empower, enjoy and develop work that is individual to each student. I am currently developing non textile work, inspired by the museological processes of collection, taxonomy, preservation, and display. Collections of broken, discarded and trivial objects are disguised, celebrated and valued. Using preservation techniques including the Japanese craft of Kintsugi, the Egyptian process of mummification or the art of taxidermy, connections and juxtapositions are made between times, materials and cultures. 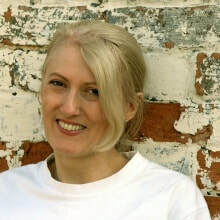 This can be seen at www.annegriffiths.com. Appeared on BBC TV in 2018 for Ardington, demonstrating how to make an indigo vat. My inspiration comes from collections, both those of museums and the individual, whether the discerning Victorian lepidopterist, the eccentric 'collectaholic' of memorabilia, or the accumulated bricolage from everyday life.